Corporate governance is the set of processes, regulations, laws and institutions affecting the way the companies are directed, administered and controlled. 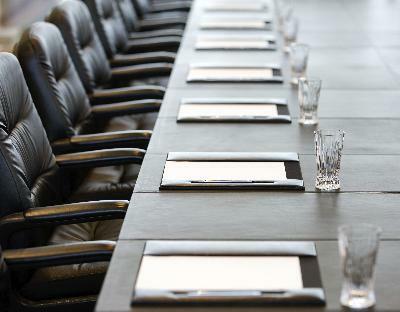 Governance also includes the relationship among the many players involved (Shareholders, Board, Executive Committee, stakeholders) and the goals set in order to govern the companies. The main players as set above are the shareholders, the management and the board. Other stakeholders include employees, suppliers, customers, banks and other lenders, the neighborhood, the environment and the community at a larger level. The code is based on a system of « comply or explain », which provides the opportunity for companies to deviate from its provisions when their specific warrant, and with adequate explanation. interpret the provisions of the Code. Today the internal control and risk management have become essential for both Board and the Management Committees within companies. We cover the Coso 2013 and ISO31000 standards, these control procedures are activated upstream of governance. More than ever, companies strive to continually earn the trust of investors in applying the principles of good corporate governance within the law regardless of the location of their activities and ensuring clear communication , consistent and transparent both strategy in terms of performance . Our team followed the Board Effectiveness training. Finally, we adhere to various professional associations which allow us to remain at the forefront in these areas. January 22, 2004, the Corporate Governance Committee has been installed. This Commission was created at the initiative of the Banking, Finance and Insurance Commission , the Federation of Enterprises in Belgium and Euronext Brussels. The objective of the Commission was to develop a unique reference code for Belgian listed companies. The Belgian Code on Corporate Governance was published on 9 December 2004. Studies show that is well respected by Belgian listed companies . In May 2007, the Commission adopted a more permanent form and chose the status of a private foundation. It aims to contribute to the development of corporate governance in particular listed companies, by providing a regular monitoring of the implementation of the Code; proposing to modify or adapting appropriate Code or providing advice or formulating positions on any regulatory or other initiative in the area of ​​corporate governance. On 12 March 2009 , the Commission published the 2009 edition of the Belgian Code of corporate governance. It replaces the 2004 version . 6 June 2010 the legislature has designated the 2009 Code as the Reference Code for listed companies . The first publication of the Code dates from 2004. This version has been reviewed in 2008 (application of the « 2009 Code » for listed companies from 2009 onwards). Since the last revision, the Committee has done numerous efforts to invest further in good governance. Different explanatory notes (see below) have been developed in the course of 2010-2012 with the scope to help companies implement good governance practices. Four years after the 2009 Code, the question of an evaluation of the 2009 Code arises. To receive an answer to this question, the Committee inquired an independent study from Allen & Overy. The study discusses several specific themes and places the 2009 Code in comparison to the codes of several neighbouring countries. This section contains explanatory notes for listed companies to support them in the application of their corporate governance policy. This remuneration grid helps the listed companies with the application of the new regulation of 2010 regarding the remuneration report (transparency obligations regarding the remuneration of directors and executive managers). The overview sets out a comparison between the 2009 Code and the legal obligations. PRACTICAL RULES FOR HIGH QULITY EXPLANANTIONS (February 2012)On the basis of an external study, the Committee has developed a set of practical rules enabling listed companies to provide high-quality ‘explaining’. GUIDELINES INTERNAL CONTROL AND RISK MANAGEMENT (March 2012)These guidelines assist companies with the implementation of the law of 6 April 2010 and of the recommendations of the 2009 Code regarding internal control and risk management. The practical rule for the procedure regarding nomination and reelection of the external auditor in order guarantee the quality and transparency of the external audit’ aims to support disposition 5.2/20 of the Belgian corporate governance code regarding the procedure on the selection, appointment and reappointment of the external auditor.